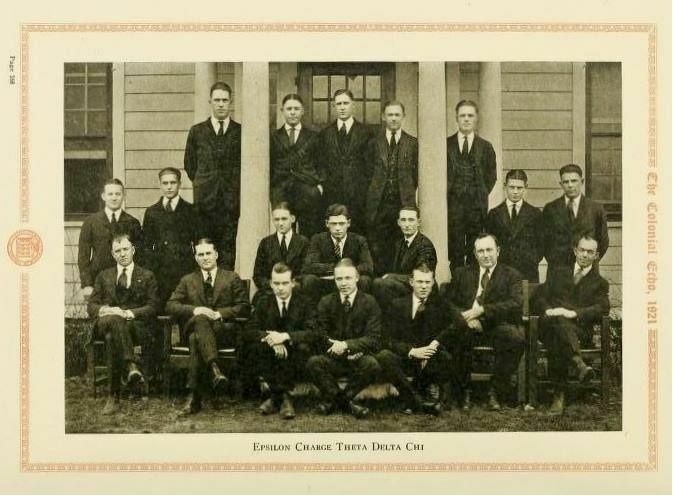 As part of the research, I was reading through the early 1920s college yearbooks and happened upon an interesting photo in the 1922 yearbook, “The Colonial Echo.” It was a picture of the Theta Delta Chi fraternity fellows, seated in front of their fraternity house, an Aladdin Colonial. How apropos, I thought to myself! What else would you buy for a college campus in a famous colonial town, but THE Colonial? For first-time visitors to this site, Aladdin was a kit home company that (like Sears), sold entire kit houses through mail order catalogs in the early 20th Century. Each kit came with 10,000-12,000 pieces of house, and included a detailed instruction book, designed for the novice homebuilder. Update: Andrew Mutch has found the house, but it’s not happy news. 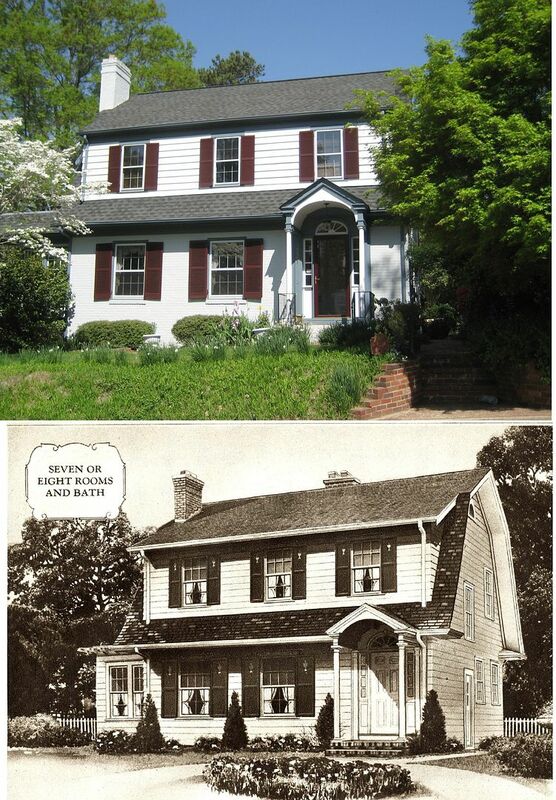 Our Aladdin Colonial, aka “The Clark House” (located on Jamestown Avenue) was demolished in 2004. A press release put out by the college in 2004 said the house was built in 1911 and had been deemed “physically unsound” ten years prior (1994). Ding, ding, ding, nice try and thanks for playing. The Colonial first appeared in the 1915 “Aladdin Houses” catalog for a price of $1,980, but the Colonial on the W&M campus was built in 1920 or 1921 (based on info gleaned from the college yearbooks). This means the 1911 date is quite a boo boo. As to the “physically unsound” part, I have serious reservations about that, too. It’s a good thing they got rid of that early 20th Century kit home with all that first-growth southern yellow pine from virgin forests, and those oily old cypress clapboards. This was an egregious waste of America’s irreplaceable and most-precious resources. Approximately 30% of all waste found in landfills is construction debris. Doesn’t make much sense to fill a campus with recycling receptacles for paper, plastic and aluminum if you’re going to send 350,000 pounds of architectural history to the landfill. Images of the 1922 William and Mary “Echo” came from www.archive.org. If you have several hours to kill, I highly recommend their site! And - again - many thanks to Rachel for finding these high-resolution images at archive.org! While looking through the 1922 "Colonial Echo," I found a most interesting picture! The full page from the 1922 "Echo" shows the Theta Delta Chi gang, seated in front of their freshly built Aladdin Colonial! Wouldn't it be interesting to know if these fellows assembled that Aladdin kit house on their own! What a beautiful house! The Colonial was first offered in 1915. 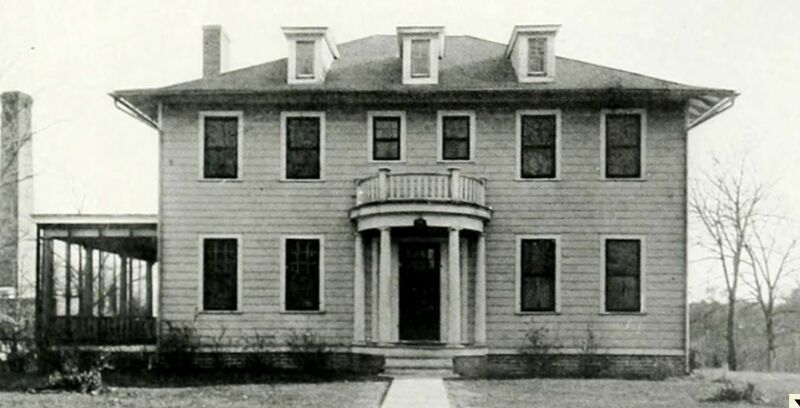 The image above is from the 1922 "Colonial Echo," so it's possible that the house was newly built (which may be why it merited its own photograph). I wonder how long it was used as the house for Theta Delta Chi? 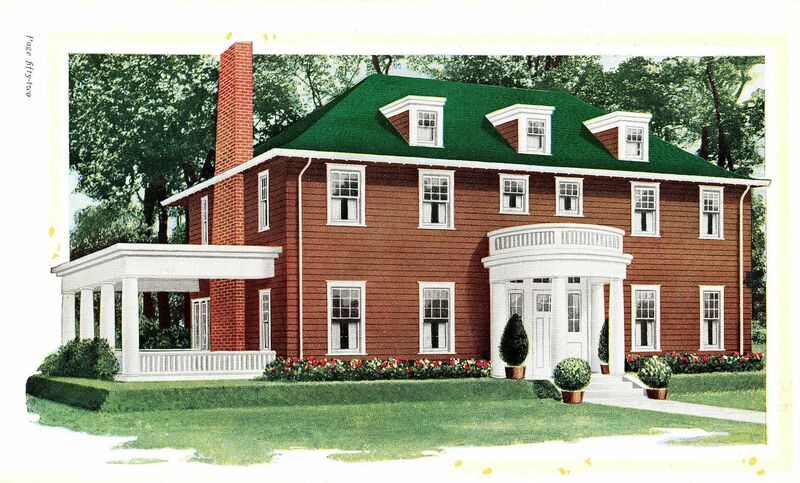 The Aladdin Colonial, as seen in the 1919 Aladdin Homes catalog. 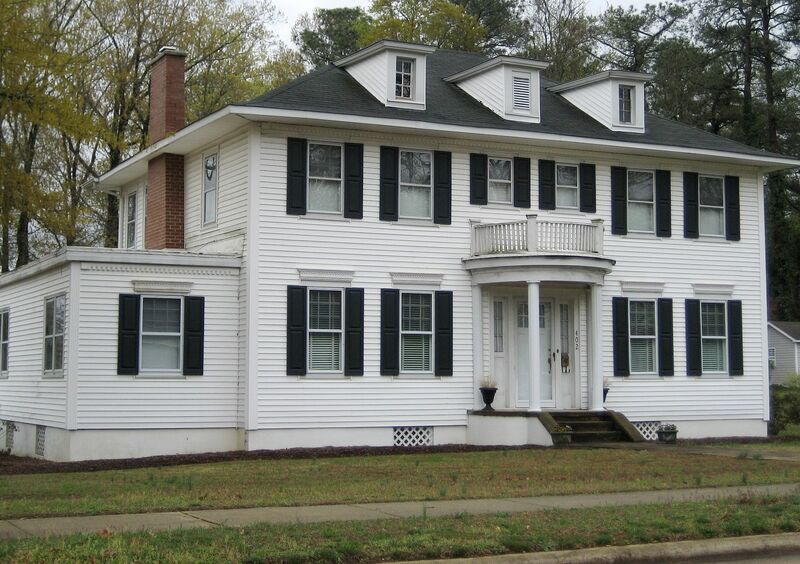 Here's an Aladdin Colonial in Roanoke Rapids, NC. Rachel Shoemaker, researcher extraordinaire, found this picture (also at archive.org) of the Theta Delta Chi boys gathered around the front porch of their newly built Aladdin Colonial in 1921 (from "The Colonial Echo" 1921). In prior years, the frat boys were photographed in front of a different (older) house. I would love to know - did these guys BUILD this house? What a pity that W&M saw fit to destroy this house in 2004. An aside, with 15 minutes of searching the yearbooks, Rachel figured out that this house was built in 1920 or 1921. And just down the street is this Wardway "Mayflower." How apropos! To learn more about kit homes, click here. Oh dear, this is very sad news. That photo is awesome and thanks for sharing it with us! Yep! That’s an Aladdin Colonial. The original model used for the catalog illustration still stand in Bay City Michigan. Perhaps “The Colonial” on the W&M Campus was moved and might be hiding in a nearby neighborhood. It might be on 606 Richmond Road in Williamsburg. 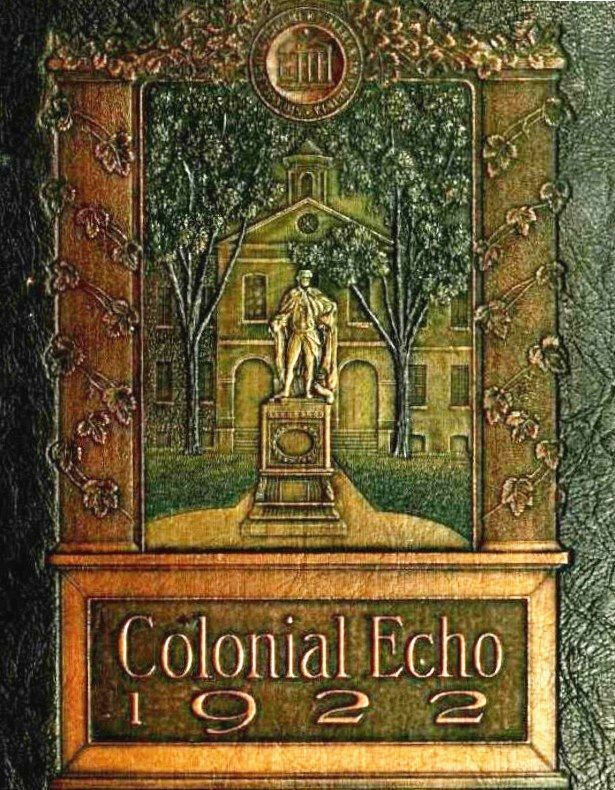 I went through all of the Colonial Echos from 1911-1935. I noticed that in the late 1910s most of the fraternity houses were four squares and a couple of other styles. Those houses are mostly all still there around 240 Jamestown Rd. I would think that the Colonial was along that stretch as well. Strange that they tore it down. It is a much nicer house than those foursquare houses are. Too bad. Looks like it was probably located where the Undergraduate Admission building is now, at 116 Jamestown Rd. I bet that was where the “Clark House” was. All of those houses there are named now. That white colonial next door is where the old fraternity houses begin. I guess now it really is nothing but the “Echo” of a Colonial? We know all too well how universities will declare buildings/houses ‘physically unsound’ don’t we? I imagine that the colonial next door and the four squares will all be declared ‘physically unsound’ too in the years to come and be replaced with another red brick building. Perhaps a new health center and a parking lot? Yeah, those old buildings on college campuses often get “Pop-Sci’ed”!! All of their yearbooks are online at archives.org. 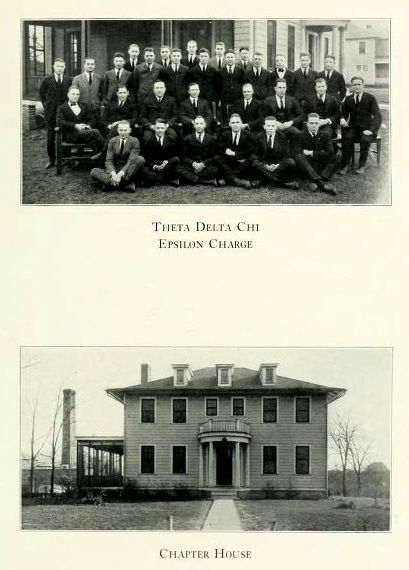 The 1921 shows the boys on the Colonial porch, the 1922 shows the house as do the 1926 and 1927 Echo yearbooks. I guess folks can check the photos out there. I went through all of the yearbooks at archive.org and the last Aladdin Colonial image was in the 1927 Echo. The fraternity houses were not in the yearbooks until 1934 and in 1934 they were living in that big red brick colonial. 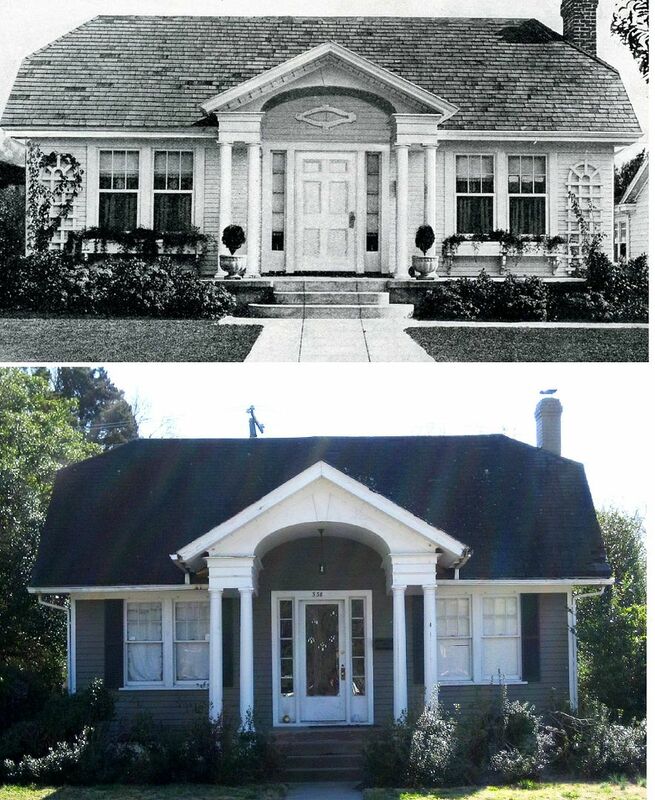 I bet they moved from the Aladdin Colonial to that larger house around 1930. Rachel, I am so grateful that you found the W&M “Echo” there at archive.org! What a great resource! Thank you SO much!! The Mystery of Our “Ethels” in Riverview is SOLVED!! Missing: “The Projectile”!